Surprise your kids with these fresh NOT frozen pizza rolls from Back to her Roots. 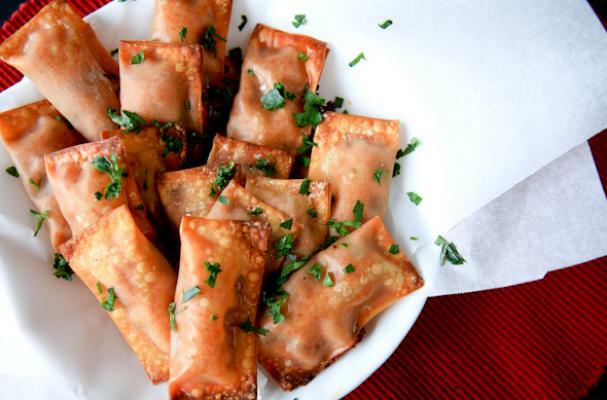 Mozzarella cheese and marinara sauce are stuffed inside delicate wonton wrappers and baked. Wonton wrappers are usually located in the refrigerated section of your grocery store, sometimes near the fresh fruits and vegetables. You can make plenty of these pizza rolls ahead of time and freeze them. That way when the kids arrive back from school all they need to do is pop them in the oven for a couple of minutes. Homemade pizza rolls are a tastier and healthier convenience food for your family.